It seems colour fades are high on the priority list for Nike designers at the moment, what with the Mercurial Vapor VII and the recent Clash Pack all featuring it. 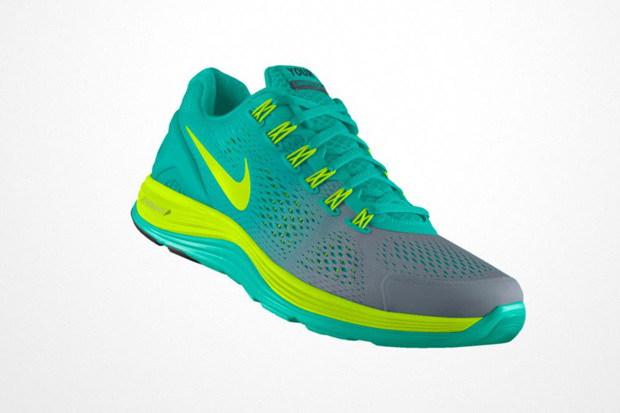 The LunarGlide+ 4 iD also allows the user to select a colour fade with an additional under-colour and I’m actually a big fan of it. 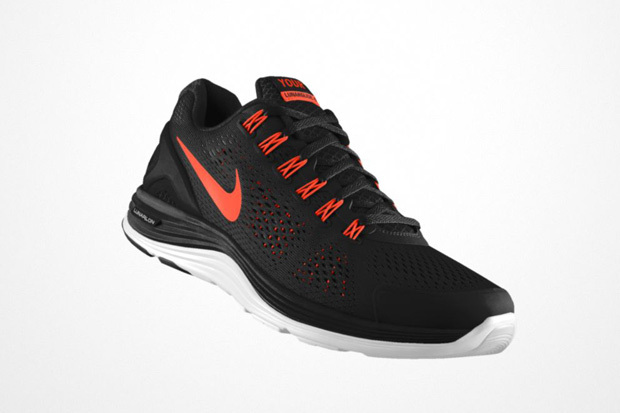 There’s some great room for customisation on this shoe. The only thing that is slightly restrictive is that if you want a colour fade, you can’t pick the two colours yourself, you have to select from a selection of pre-chosen fades. That’s the only slight downer, but they are good fades at least. Some bright colour options in the pallette, with one of my favourites being the “Retro” as it’s called (as featured on the shoe above). 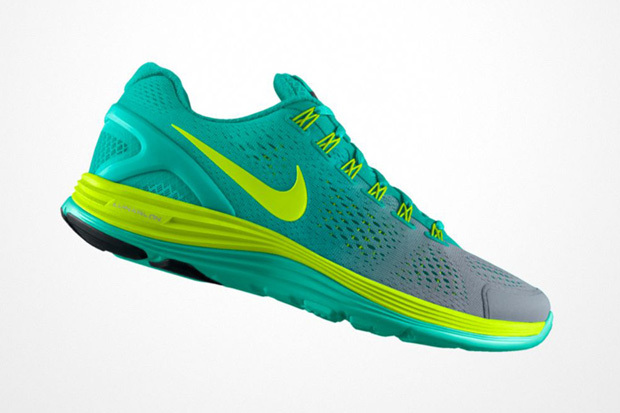 Volt is the only real Lunar colour available to add those trademark neon pops we’ve all become accustomed to. 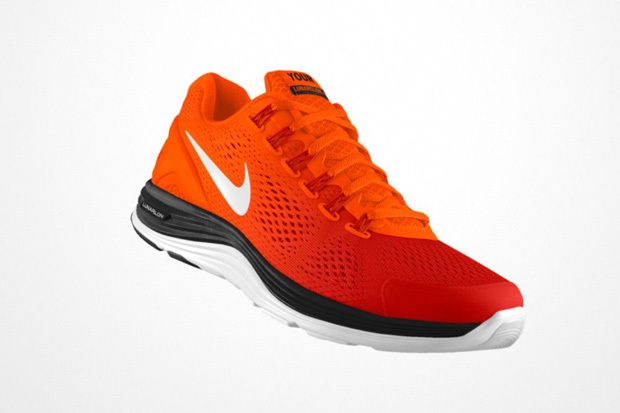 As some of the examples below show, you can make this good looking shoe look damn good if you know what to do. 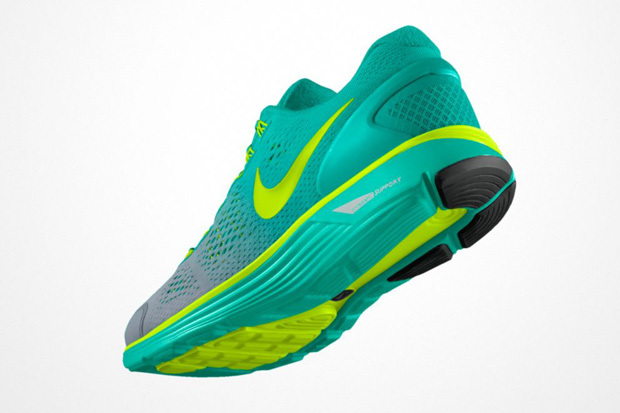 I’m a big fan of the LunarGlide series and the LunarGlide 4 doesn’t disappoint. 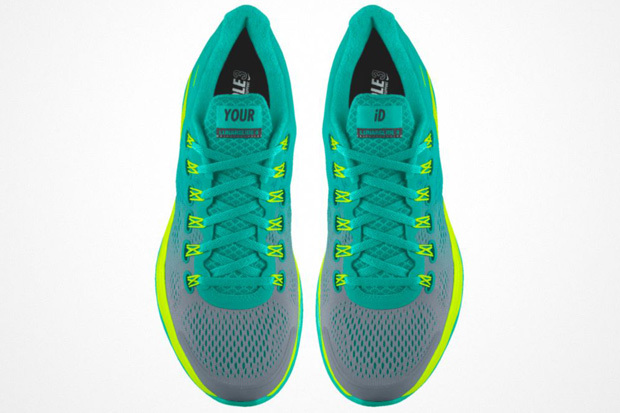 Head over to Nike iD now to have a go yourself.